Coaching supports a person in reaching his/her goals. In the complex world in which we live, most of us can use a fresh perspective in various areas of our lives. 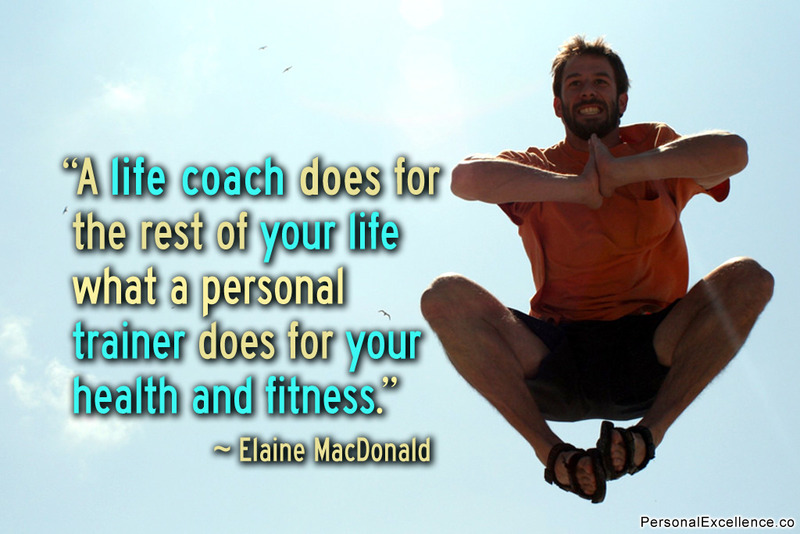 Coaching is all about moving forward and creating change in your life. Typical coaching questions may be, "What would you like to change in your life?" or "What would you like more of in your life?" Coaching looks at what is getting in the way of reaching your goals and always includes an action plan. AN AGENDA is established (YOUR agenda). A question asked might be, "What would you like to talk about today?" or, "What would you like to walk away with today?" The next question might be, "How will we know that we have gotten there?" A clear AGENDA is of the utmost importance as coaching is about the client and where they want to go! Next, we look at WHAT HAS WORKED IN THE PAST as well as POSSIBLE BARRIERS today that are getting in the way of movement. Coaching often results in a shifting of PERSPECTIVE. Most of us come to coaching to change something in our lives, and it is, in fact, we ourselves who change. The client decides if they would like to have CHECK-INS with the coach by phone, e-mail or text messages to build in a gentle ACCOUNTABILITY. Finally the coach will ask what the client is TAKING AWAY from the session as a way of summarizing and anchoring the session. Most coaches offer a complimentary session for any perspective clients so that the client may discover what coaching is like and also to see if both the client and the coach are a good fit. Once a client decides to coach then the client is sent an INTAKE PACKET. An intake packet includes various forms to be filled out, goal sheets, and also a coaching contract. The client will will send or bring the completed forms to the coach. The next step is to schedule a 2 hour INTAKE SESSION where the coach and the client go through the various forms, getting very clear on what the client's goals and values are. At the intake session, a regular coaching time is chosen and then we are ready to coach! How Long Does a Person Coach? Coaching takes place 4 times a month for a minimum of 3 months and can extend to years, depending on a client's goals. Payment for coaching is due on the first of the upcoming month and is paid in advance. Coaching can take place in person or by phone. Coaching by phone eliminates travel time as well as waiting in an office. Speaking by phone allows a client to coach in the privacy and convenience of his/her own home.